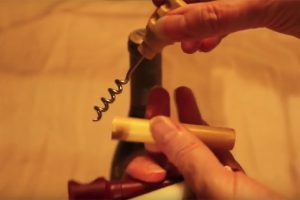 The Rabbit-style lever corkscrew can seem fairly complicated – but actually it’s quite easy. It makes opening wine bottles fairly simple for those with poor grip strength or hand dexterity. I’ve used many, many corkscrews over the years, as you might guess since I’ve been writing about wine online since 1998 and have owned my own wine website, WineIntro, since 2004. If there’s one thing I want it’s an easy way to open wine bottles. The Rabbit-style level corkscrew definitely fits that bill. The one I have used for the last few years is the Metrokane. It’s a black matt version of the Rabbit. 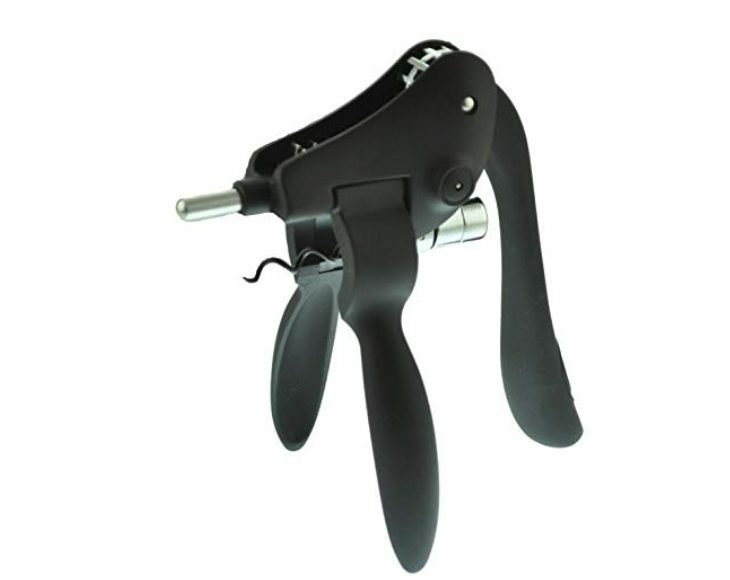 It’s quite easy to grip, ergonomic, and has a grippy area on both sides of the main lever so it’s easy to grab. Using the corkscrew is quite easy. You place it over the cork. Lift the lever up to engage the worm (screw) into the cork. Draw the lever back down to pull the cork free of the bottle. Quick, done. And then to get the cork off the worm you just move the lever forward and back again. Now the cork is free. It takes maybe five seconds total to remove a cork quickly and easily. When the worm (screw) eventually wears out, you just buy another and put it into the unit. The unit is pretty indestructable.